Children love Bible stories when they’re interactive, engaging and fun! Open the Book enables school children to discover Bible stories, during assembly and collective worship through dramatised storytelling. 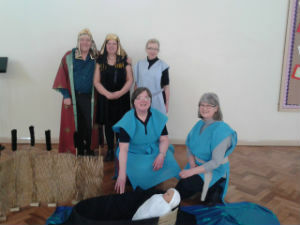 Here’s some of our team at Emmaville Primary School - Allen, Mandy, Pam, Doreen and Helen - with baby Moses!